Frank Sinatra’s famed Cal Neva Lodge & Casino, which has sat vacant since 2013, has been sold out of bankruptcy court to Oracle founder Larry Ellison for $35.8 million. 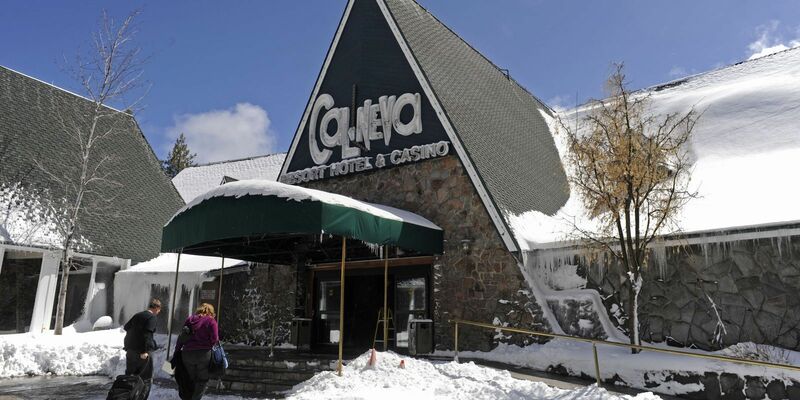 The tech billionaire, estimated to be worth over $60 billion, was the sole bidder for the Lake Tahoe resort that straddles the Nevada and California border. Ellison hasn’t revealed his plans for the small casino and 10-story hotel tower that was once a playground for celebrities such as the Kennedys, Marilyn Monroe, and Sinatra’s Rat Pack. The property has switched hands numerous times, the most recent owner being a real estate firm named Criswell Radovan. 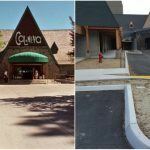 The California developer closed the resort in 2013 to make way for a $49 million renovation, but those plans were halted three years later after the company filed for bankruptcy. Ellison is no stranger to the Lake Tahoe community. He’s currently building an 18,000-square-foot “getaway” mansion on the North Shore according to the Sacramento Bee. With Ellison and his investment holdings company mum Cal Neva’s future, observers can only wonder whether he plans to return the resort to its old luster, or reimagine the acreage into an entire new concept. 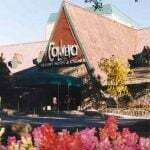 When the resort closed, the casino space was very small at just 6,000 square feet. According to reports, the massive renovation undertook by Criswell was nearly complete when the company went under. Nearly all of the property’s guestrooms have been refreshed, as has the resort’s main restaurant. Frank Sinatra purchased the resort in 1960 and transformed it into a retreat for his Rat Pack and A-list celebrity friends. 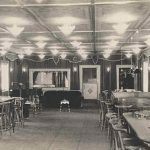 He kept the casino and hotel open year-round, and built the Celebrity room and theater where the famed singer often performed. Sinatra’s ownership went south when his mobster friends began hanging around. Sinatra used Cal Neva’s underground tunnels, which were built during prohibition to sneak alcohol into the resort, to move the mobsters around the property. Chicago mobster Sam Giancana was a frequent guest, and that attracted the attention of the FBI, which began monitoring who was visiting the casino. At the urging of the federal government, the Nevada Gaming Control Board (NGCB) revoked Sinatra’s casino license in 1963. That led to Sinatra selling the resort, and it would never return to similar prominence. Though Sinatra became a key figure in the development and rise of the Las Vegas Strip, his ongoing rumored ties to organized crime kept him barred by the NGCB from holding a casino license. That changed 18 years later in 1981 when the gaming board returned his gaming permit. At the time, the NGCB praised Sinatra’s charitable works, and criticized the persistent media reports that linked him to notorious mobsters in New York, Chicago, and Las Vegas. A piece of history saved. Cal Neva is an awesome. Larry Ellison will do a great job. Thanks. home. I’m confident Mr. “E” will restore the Old Girl to her previous scale, plus some. Spent a lot of time in the Bar in the 1970’s. Why is no one talking about half the bar being in Nevada and the other in California, hence the name?